Where Do the Homeless Flee in a Flood? The recent flooding in Toronto has exposed much of the City's unpreparedness for a serious disaster. But what has been left out of the public debate on aging infrastructure, road closures and flooded subways is what happens to those who live on the streets? I took refuge in the bank in the heart of Toronto's financial district, shocked by the ferocity of the rain. Water seeped in through the bank doors, soaking my shoes. The thunder was pounding as the sky rolled over in darkness. As I watched well-dressed pedestrians scramble for sanctuary, I suddenly thought of the many men I knew who had no place to go. Toronto has a huge homeless problem and on the best of days it is hard for many to get a shelter bed or a safe place to spend the day. And as water flooded the underpasses and drenched the suits of bankers, I wondered who was making room for the homeless? The recent flooding in Toronto has exposed much of the City's unpreparedness for a serious disaster. But what has been left out of the public debate on aging infrastructure, road closures and flooded subways is what happens to those who live on the streets? Industry jargon terms these people as 'street-involved', a curiously dispassionate term for those whose very lives are measured, impacted and shaped by the streets. Nobody, it seems, was tracking where they ended up on Monday night, when the streets flooded, power went out and the shelters were full. The inability of Canada to manage its homeless problem speaks more of lack of political will than funding. In fact, being homeless is awfully expensive for governments. There are an estimated 300,000 homeless individuals in Canada at any one time. And yet the cost in terms of health care, criminal justice and social services can run as high as $7 billion. The most significant cost of homelessness, the Fifth Estate discovered, is the criminal justice system, where the cost of one night in jail is $250. Many homeless individuals who end up in jail do so because they often suffer from mental illness and have not been able to access care or are suffering from substance abuse and turn to petty crime to feed their addiction. Not only does it cost the government to house prisoners, there are the costs to the legal system and police services. On the other hand, society could spend a third of this amount (up to $88 a night) by keeping this person housed in a self-contained apartment with support on-site. Unfortunately, in Ontario this isn't happening. The federal government has walked away from its previous commitments to a national housing strategy. The province has little money for new public housing units. The private market certainly hasn't picked up the slack with many of the older downtown rooming houses being swallowed up in the real estate boom -- making it even harder for the marginalized to find safe housing. Few politicians seem to want to take on defending the homeless in an era of austerity and 'pulling yourself up by your bootstraps' has become the mantra of fiscal-conservatives, but implementing a national housing strategy could revolutionize Canada's homeless problem. As Mike Harris and Margaret Thatcher knew -- putting the screws to the marginalized makes for "good" politics. But it also makes for stupid and shortsighted political ends. The national research project launched by the Mental Health Commission of Canada, At Home/Chez Soi, found that homeless individuals, once housed, "take advantage of the safer places and opportunities that are created to make better life choices -- including pursuing opportunities to engage in part or full-time employment." 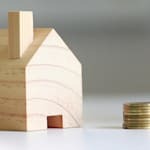 The study also found that transitioning people into housing "makes better use of public dollars -- especially for those who are high service users" (including health care, jails and emergency systems). It is interesting to note that Alberta is leading the way in the fight to end homelessness. 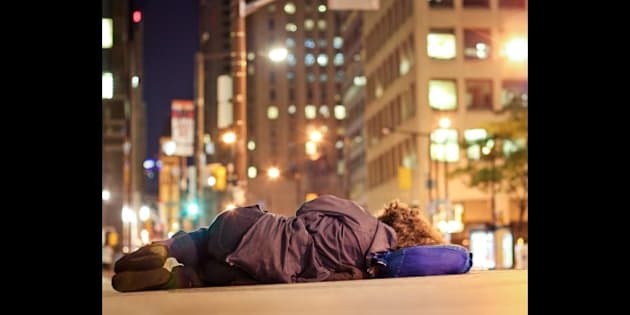 In 2008, the provincial government launched a ten-year plan to eliminate homelessness; since then, homelessness has dropped by a staggering sixteen percent. By implementing a 'Homes First' campaign, where agencies transition homeless people into housing then working with the formerly homeless on their personal issues (mental illness, substance use, etc) Edmonton has slashed homelessness by 42 per cent. It is a policy that is smart, cost and effective and getting results. As Canadians, as taxpayers, as citizens, simply as human being, we should be outraged that we spend so much money and see such meager and heart-breaking results. And if you are not sold on the need to be compassionate, just do the math. Canada's invisible class of homeless and marginalized could be dealt with a manner much more prudent and effective for the long-term development of our nation.